Exclusive Bollinger is a professional indicator based on the popular Bollinger Bands indicator and provided with an advanced algorithm. Unlike the standard Bollinger, my Exclusive Bollinger provides better signals and is equipped with flexible settings allowing traders to adjust this indicator to their trading style. In the indicator, you can set up alerts (alert, email, push), so that you won't miss a single trading signal. 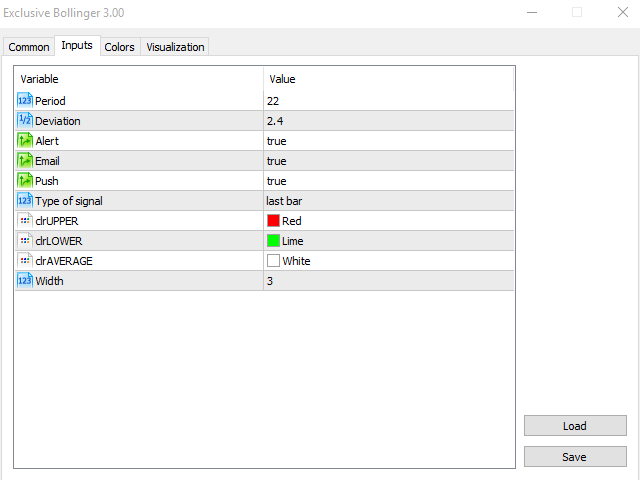 MetaTrader 4 version of Exclusive Bollinger: https://www.mql5.com/en/market/product/24336. Works on any financial instruments: FOREX, CFD, binary options. EURGBP, GBPJPY, AUDNZD, EURCHF, EURUSD. Sell when the price crosses the upper line of the indicator (see screenshot 1, entry points are encircled). Buy when the price crosses the lower line of the indicator. 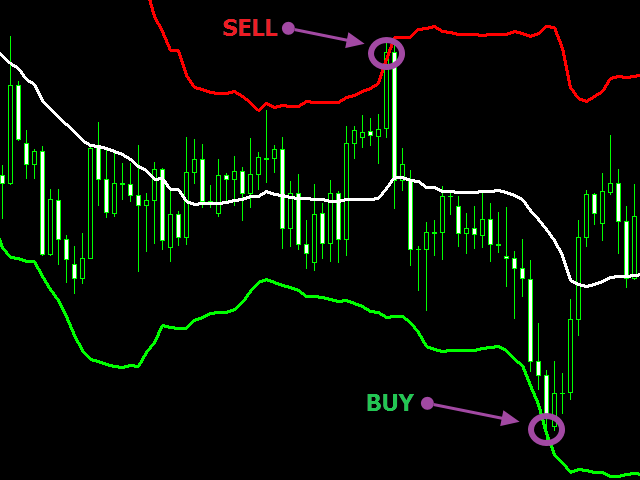 The indicator is best suited for intraday trading, on the timeframe from M1 to H1. Period - the key parameter responsible for the averaging period for calculating the indicator. Deviation - the number of standard deviations from the main line. Email enable/disable sending e-mails. If true - enabled, false - disabled. Push enable/disable sending messages to the mobile terminal. If true - enabled, false - disabled. Type of signal - the setting is responsible for the signal to be sent by Alert, Email and Push. Type of signal can be equal to current bar (sending an alert when signal appears on the current bar) or last bar(when a signal occurred on the past bar). clrAVERAGE - the color of the middle line of the indicator. Very good and profitable indicator, which I recommend to everyone.